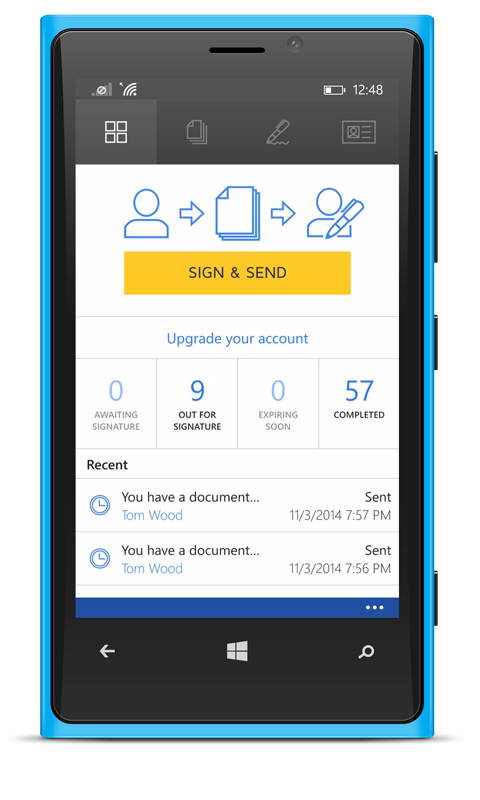 With DocuSign for Windows Phone (Mobile), you can electronically sign, send and store documents from anywhere, anytime. 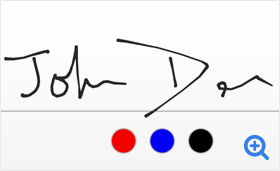 DocuSign is safe, secure and legally binding. 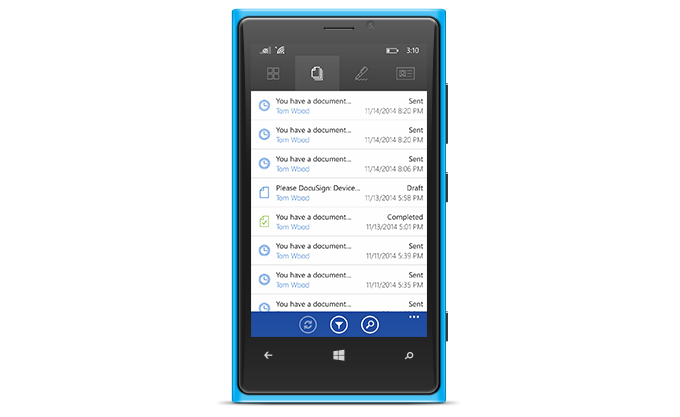 You'll finish tasks faster and go completely paperless – no more printing, faxing, scanning or overnighting documents for signature. 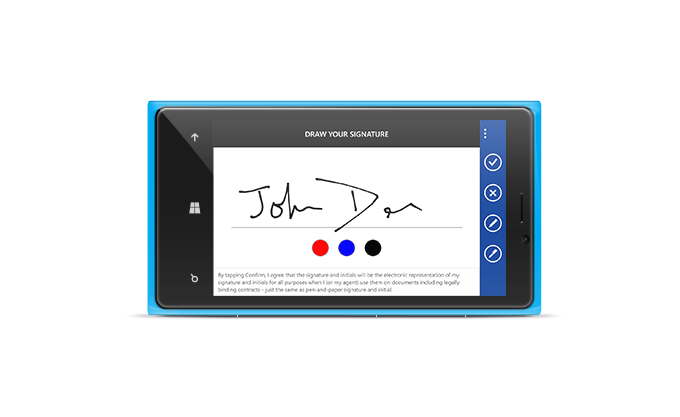 Sign and send documents for signature in a variety of formats, including Microsoft Office files, PDFs, images saved on your phone or stored on cloud-based apps like OneDrive, Box, Evernote and Google Drive. 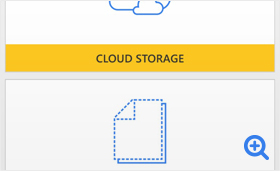 Access and store all of your documents instantly and securely in your DocuSign account and OneDrive. 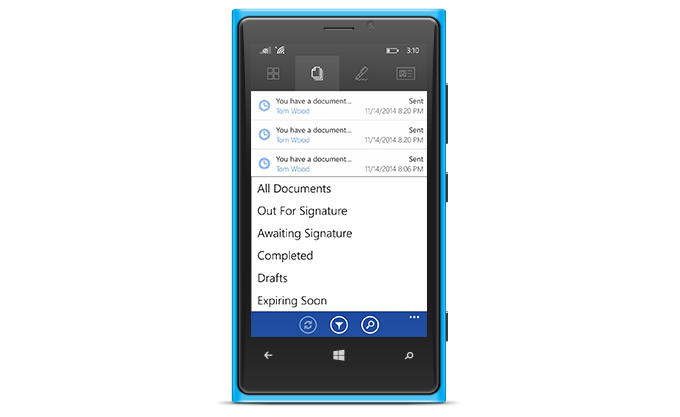 View and track all of your documents to see who has signed, and follow up on documents waiting for signature – giving you visibility and control. 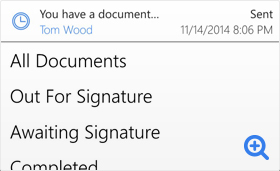 With the Windows live tile, you can see your critical document status directly from your home screen. Choose the solution trusted by banks and law firms. 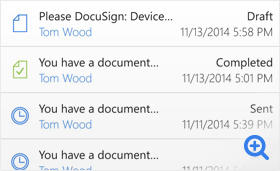 DocuSign eSignatures are safe, secure and legally binding. 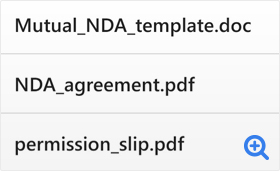 All documents are encrypted and include a tamper-proof seal and complete transaction history. We’ve optimized load times throughout the app, so your entire experience is seamless and stress-free. 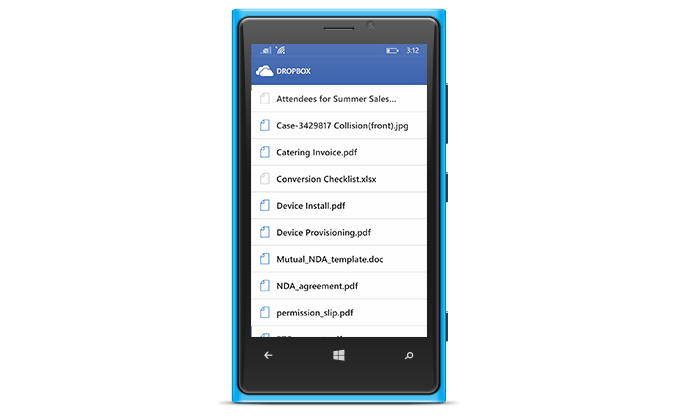 Now you can get on with your business and turn your transactions around in minutes rather than days. 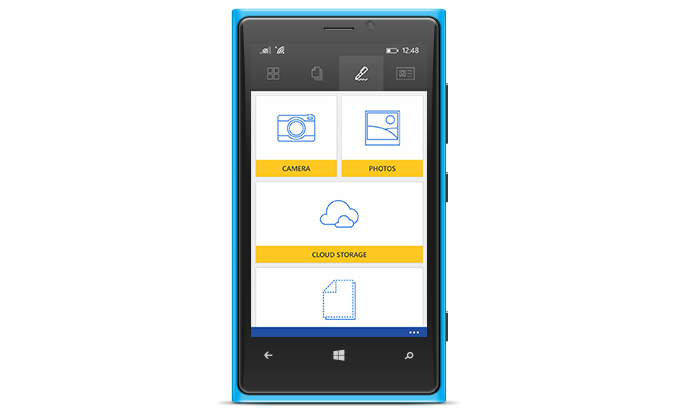 Compatible with Windows Phone 8 and Windows Phone 8.1.